When visibility stops at the distribution center (DC), it can lead to empty shelves and lost sales at the store level. DC demand, or sell-in, is really only a proxy for true demand. The best demand signals come from actual shopper purchases— a specific SKU at an individual store. Taking a granular approach to understanding inventory and sales is the difference between thinking your operations are running efficiently and knowing that the specific product variation a shopper wants is available for them to buy when and where they want it. 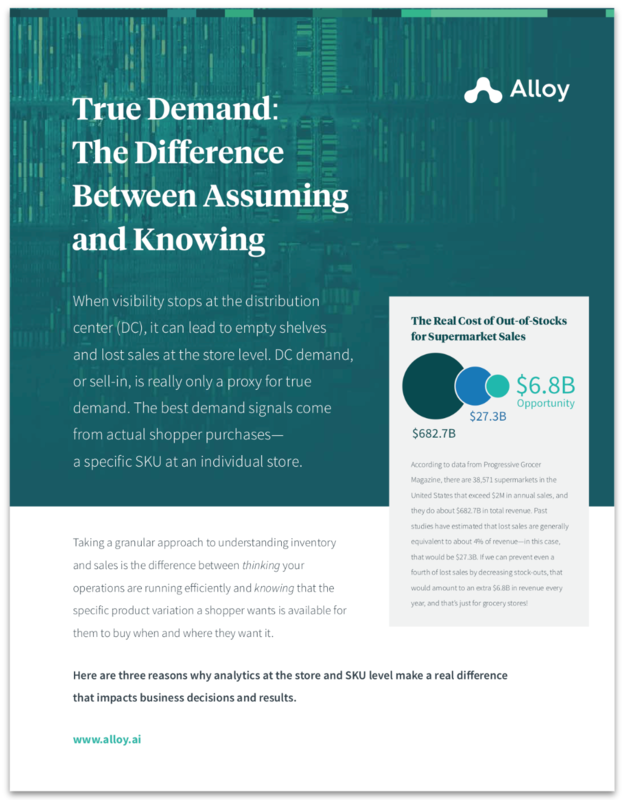 Here are three reasons why analytics at the store and SKU level make a real difference that impacts business decisions and results. When measuring supply chain performance, averages are not your friend. Aggregate metrics (e.g., averages across products and stores) obfuscate the important variation that leads to actionable insights. Assuming a normal distribution, half of your stores, SKUs, or whatever you're measuring are performing below average, and should be the targets of optimization to avoid lost sales. Or if there are just a few severe underperformers bringing down the average, you would want to know which those are too. Different opportunities that exist at the store level due to local consumer preferences, promotions, or other demand drivers do not come through either.